“Using same passwords for the different website is not an easy task. If we use different passwords then remembering them also a big challenge” Then Comes Dashlane, An ultimate solution to your problems. Dashlane is known as the Best Password Manager to improve your security & productivity. While creating the password of the website, One should take care of its password strength. The password should be the combination of Uppercase latter, Lowercase latter, Number and Special character. With these also, Password should be different for the different website. Don’t be so clever or overconfident that lets hacker to catch vulnerabilities on the website. Sometimes, We don’t want to do struggle in creating the new password for every website we sign up on even though we know it’s dangerous and we get hacked by hackers. So, What I did with my different password list for different websites? Yes, I go through password managers like LastPass and OnePass. But, didn’t find modern features in it and lack of good interface. Finally, I came to the previous style of setting new passwords for different websites. Again, I did some research how to maintain my password? Then I had a solution, New password manager called “DashLane”. Note*”Well to maintain a website with no error or protect it from hackers everyone should be careful of their security”. In this article, I dig a little deeper about password manager and highlighted some of the best features of Dashlane. Dashlane is a password manager app and secures digital wallet. It is available for Mac, PC, iOS and Android. Its premium feature allows users to securely sync their data between an unlimited number of devices on all platforms. 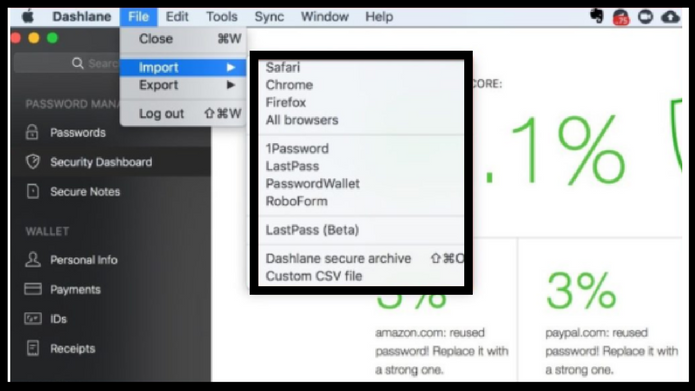 Dashlane store and manage your passwords securely as you browse the internet. It is security + productivity app. It auto-fills the login details and also logs in automatically to the sites. For speeding up the signup process it offers an auto-form fillup feature. furthermore, You can also add your debit/credit card credentials and it automatically fills up the payment details. It offers the desktop app for all OS, Mobile apps, and browser addon. Dashlane supports 3D touch for login on supported mobile phones. Now, moving forward considering the security of your data while setting up Dashlane. Dashlane will ask you to set up a master password when you set up for the first time. I recommend, Use a password which is unique and something you have never used. So, this master is very important for the security of websites. As Dashlane is a robust password manager with a gorgeous interface. 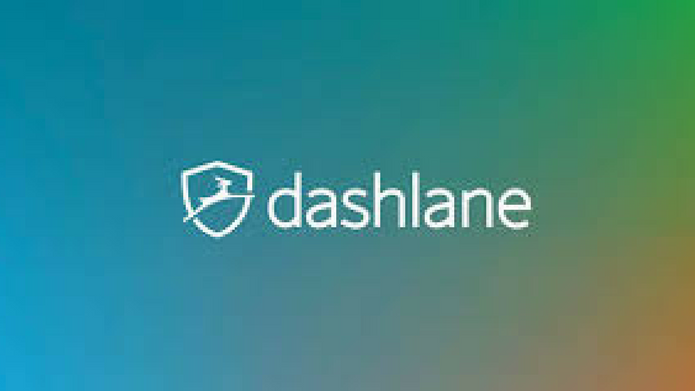 When Dashlane syncs the data from your computer to their server or sync data between your two or more devices, it encrypts the data using AES-256 encryption, which is the strongest encryption known. This is very strong encryption, if in case hackers get the access to the data without a master password, they can’t do anything. So be cool! After setting up Dashlane, Import all your passwords to Dashlane from your browser or from your existing password manager. for more security, you should follow some more steps. Go to the security dashboard, where you can view your complete passwords. Click on compromised and you will see a list of websites where you are using passwords that are compromised. On a single click, you can also replace your password with a new one. For this Dashlane generate a new password for you automatically. For implementing new strategies entrepreneurs have their team and the team member divides among the different pieces of work. Meanwhile, the password should be shared with the team to complete work on time. With Dashlane, you can quickly share your password with others securely. You can also give permission based on view or edit rights. Anything you wanted to remember, to find, to have quick access, You put into Evernote. As it offers you very quickly syncs with the cloud. For storing your sensitive data or any other credentials Dashlane provides secure notes. This is an inbuilt feature where you can store all sensitive information safely. It’s really hectic task when many times you have to fill up details like your name and address. Also, for purchasing an item online you need to your credit card/debit card details every single time. Dashlane password manager helps you with form fill up feature which saves a lot of time and makes the whole process easier.